Kirby is now a firmly-established member in Nintendo's vast catalogue of intellectual properties, but back in 1993 he was very much a newcomer looking to prove himself - as this fascinating interview from the period attests. 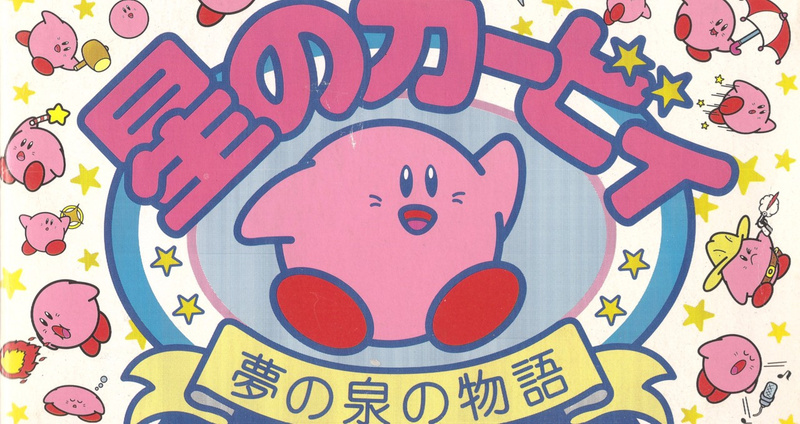 Freshly translated by Shumplations.com, the feature originally appeared in the official guidebook for Kirby's Adventure on the NES and featured input from Masahiro Sakurai (Director), Satoru Iwata (Producer / Programmer), Shigeru Miyamoto – (Producer), Hiroaki Suga (Chief Programmer), Takao Shimizu (Producer) and Takashi Saitou (Designer). Sakurai: I had been thinking he would be pink since we made Kirby's Dream Land, yes. Of course the Game Boy visuals had to be monochrome. Iwata: Now that you mention it, on the cover for the American release of Kirby's Dream Land, Kirby was colored white. It had a very mysterious aura! Miyamoto: I remember the first time I saw the color illustration. "Yeah, pink. That looks good! ", I thought to myself. Normally a character like Kirby would have been yellow. Think Pac Man, or Noobow. (laughs) That's why when I saw Kirby with a different color, it felt really fresh. Why is his name "Kirby"? Shimizu: We wanted American kids to enjoy this game too, you see. We asked Nintendo of America for their suggestions. Kirby was one of many that they sent us, and it caught my eye when I first saw it. I remember "Gasper" was another one… there were lots. In case you were wondering, the lawyer in question is John Kirby, who defended Nintendo in the Universal City Studios, Inc. v. Nintendo Co., Ltd. case in 1984. Saitou: What were some of the abilities that didn't make the cut? Iwata: There was one called "Animal" too, where you could scratch and bite enemies. Saitou: That door was originally square, too. But Shimizu came to us and pointed out that, "the problem with this door is that it opens inwards, but Kirby is standing there in front of it, so you can't tell if it's open or not." As with all of the interviews translated by Shumplations.com, this is well worth a look. 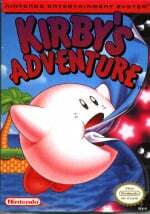 Kirby's Adventure is available on the Wii U Virtual Console, so why not check it out if you haven't done so already? I thought Kirby was named after the vacuum cleaner brand of the same name. Once my friend needed a name for his Kirby amiibo, so he told me to look up the most popular vacuum brand in the 80's. When I told him, he was disappointed cause it didn't help at all. If it weren't for the context I would not have recognised Sakurai in that picture. Does he have Benjamin-Button-Syndrome? I seriously think he looks younger now than he did then. But might be the haircut and the more serious clothes. @Tiefseemiez He's definitely aging in reverse, no doubt about it. I just got the Kirby's Dream Collection off eBay. Good times await. So the Mini and Animal copy abilities are older than we thought. Neat interview. I always thought he was called Kirby because of the vacuums. It's neat to know that Animal was considered and I'm glad that the they put it in later, its one of my favorite abilities. Man they all look so young! I've often heard it said that Sakurai and Miyamoto had argued over whether Kirby should be pink or yellow, but here it sounds like Miyamoto agreed to pink right away. Hm. @amiiboacid Ha ha! That's funny! Since when did Shigeru Miyamoto wear glasses? Also, wasn't he the one that suggested yellow color and Sakurai-San decided pink? @Haiassai If you want a "traditional" Kirby game, Kirby Triple Deluxe for 3DS is stellar. Far and away the best traditional Kirby game since Super Star Saga almost 20 years ago and probably my personal favorite (Superstar Saga and Kirby's Adventure are high points in the series and both on Virtual Console). But Kirby's better when he's not in a normal platformer. I'd recommend Mass Attack for the original DS. I call it "the Pikmin platformer" because you control 10 different Kirbys and you throw them Pikmin-style at obstacles. Flipping awesome game. @vincentgoodwin when you say Superstar Saga, you mean Superstar, ya? That was my first and cherished Kirby game. @Haiassai Whoops! I must have Mario & Luigi on the brain. Never heard of Kirby vaccum cleaners...just Henry. Kirby is a common surname though, meaning (someone from) "the settlement with/near/of a church (Kirk)". Now also used as a forename, but moreso in the US than in Britain. Definitely prefer Kirby to Gasper. These old interviews remind me of how innovative Nintendo has been through the years. Thank arceus they changed the name. Kirby is my favorite Nintendo Character. Nice to know some of his development and backstory. @vincentgoodwin Were you thinking of Superstar Ultra and getting it mixed up with M&L? @Yeahman It confused me when I read your comment because I'd never heard of Squeak Squad. Another case of Nintendo changing the names in different regions for no apparant reason, because it was called Mouse Attack here in the UK. He shall now forever be known as Twinkle Popo to me! Dang, Sakurai completely metamorphosised over the years! He looks like an entirely different person in that picture. He looks much better now, although he doesn't look nearly as happy anymore, poor guy. @Artwark I was wondering the same thing about the glasses. Maybe he got contacts? @vincentgoodwin No way, Triple Deluxe is nothing special. Kirby's Return to Dreamland is the best modern Kirby. That has to be the happiest business photo ever. RIP Iwata-san. I'll always remember Kirby as the cute little puffball who invaded the NES. 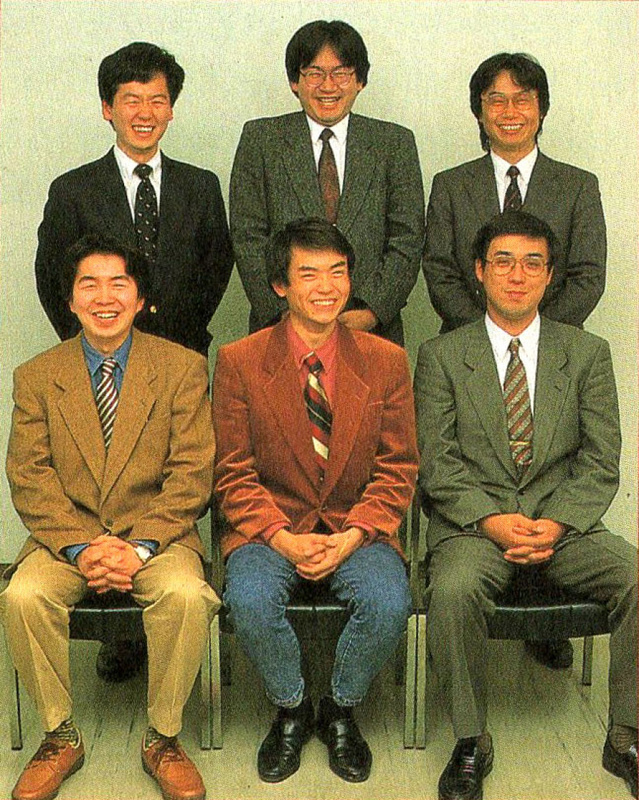 I didn't know Miyamoto wore glasses back then either! Kirby is not necessarily "named after' the lawyer. Kirby could have been named after the vacuum. NoA had a list of names. Kirby stood out. NoA could have put Kirby on the list because of the vacuums and we don't know if Kirby was chosen because there was a lawyer that worked for them.